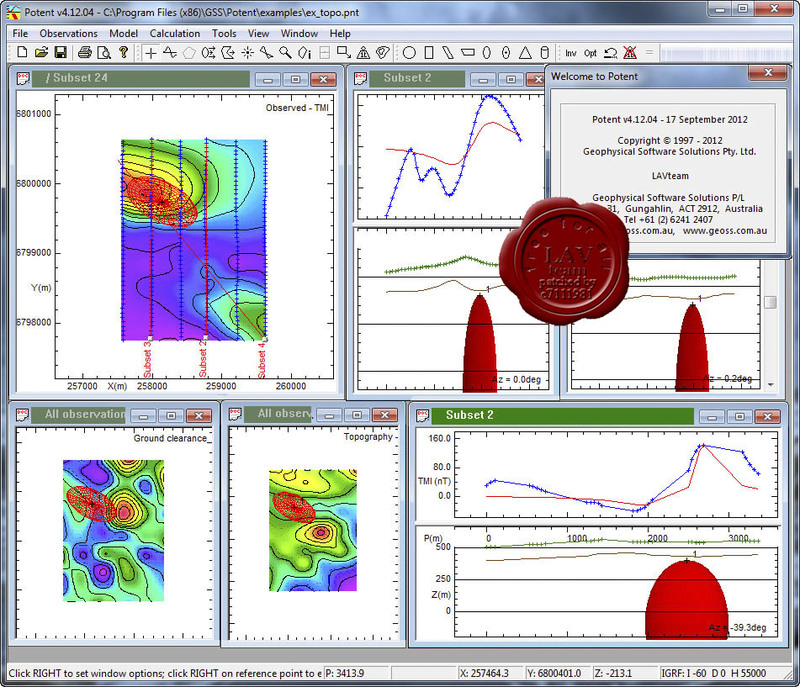 Potent is a Windows application that provides a highly interactive framework for modelling of magnetic and gravity data. Potent works in 3D space. Observation points can have height and ground clearance associated with them. The bodies that constitute the model are all able to be translated and rotated in three dimensions. The field due to the model is calculated at the true position of the observations, thereby incorporating elevation effects such as those due to topography or aircraft height.